Our alumni writers and poets have produced significant works across all literary genres. In recognition of all the biographers, columnists, critics, historians, journalists, novelists, playwrights, poets and sports writers in the Panther family, the FIU Alumni Association is proud to share the Alumni Authors Series. Here, you can discover titles by FIU grads and purchase many of them online. Thank you for supporting your fellow Panthers. Read on! 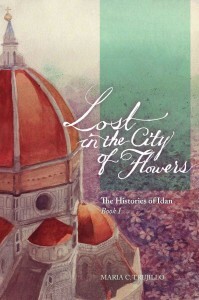 If you would like us to include your recently published book, please complete the submission form. It is the year 2869 Æx., and the sun is setting on humanity’s golden age. The once-glorious Convergency has fallen into the hands of a corrupt elite, and a lone corporation has seized power over the innocent citizens of the galaxy. But when a noble marshal and a band of unlikely allies find themselves caught in the middle of an insidious conspiracy, it seems that tyranny may have met its match. Eugene Bryan graduated from FIU with his MS in Mass Communication in 2013, and he is the proud co-author of The Aetherverse. He was my older brother’s best friend. He was never supposed to be mine. I thought we would get it out of our system and move on. One of us did. One of us left. Now he’s back, looking at me like he wants to devour me. And all those feelings I’d turned into anger are brewing into something else, something that terrifies me. He broke my heart last time. Claribel Contreras graduated from FIU with her BA in Psychology in 2007. Patricia Engel received her MFA in Creative Writing in 2007, and is now the proud author of Vida and her latest novel, It’s Not Love, It’s Just Paris. 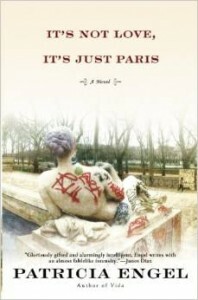 It’s Not Love, It’s Just Paris is centered on Lita del Cielo, the daughter of two Colombian orphans who arrived in America with nothing and made a fortune with their Latin food empire, who has been granted one year to pursue her studies in Paris before returning to work in the family business. She moves into a gently crumbling Left Bank mansion known as “The House of Stars,” where a spirited but bedridden Countess Séraphine rents out rooms to young women visiting Paris to work, study, and, unofficially, to find love. 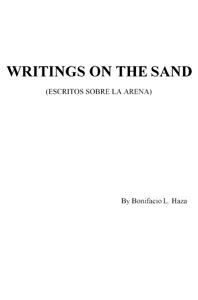 Bonifacio Haza graduated from the College of Engineering and Computing with a BS in 1983 and is the proud author of Writings on the Sand, a recollection of his family’s life’s story during a time of great turmoil in Cuban history. Following the resignation of President Fulgencio Batista, his father acted as intermediary to help establish communication between the National Army in Santiago de Cuba and Fidel Castro’s Rebel Army, to effect a pact that would help resolve the conflict and re-establish the democratic process that was interrupted by the coup d’état. The accounts of his father’s execution, and of how the country was gradually transformed into a communist dictatorship, are punctuated with stories of profound human interest. Barbara Levenson, who received her Bachelor’s in Criminal Justice from FIU in 1978, is the celebrated author of Miami mystery novels such as, Fatal February, Justice in June, Outrageous October and Neurotic November. The series features plucky Miami lawyer Mary Magruder Katz, a half-Jewish, half-Southern Baptist criminal defense attorney who often finds herself in a highly-entertaining and fast-paced race to solve the next crime. 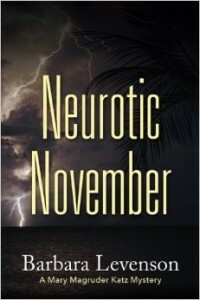 Randy Niederman wrote this book during the Great Recession in the shadow of unemployment and the death of his parents. At that time, he turned to the Yoga Sutras hoping to find a path to meaningful happiness. 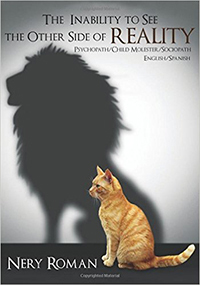 He continued to work on the book once he returned to work as a psychiatric social worker. 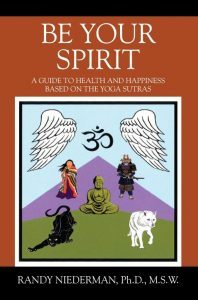 Randy found himself using techniques related to the Yoga Sutras with patients in the ER that were suicidal, having panic attacks or wanting to quit drugs/alcohol. These experiences helped shape the book toward helping people who are struggling with addiction, depression and anxiety. 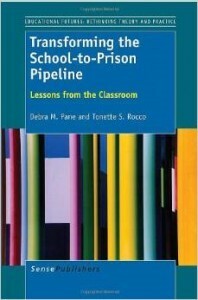 Debra Pane, graduate of FIU with a Ph.D. in Curriculum & Instruction, is the proud author of Transforming the School-to-Prison Pipeline: Lessons from the Classroom. Even though classroom discipline is one of teacher’s greatest concerns, public discourse rarely gets into what actually happens during disciplinary moments that ultimately tracks and funnels a disproportional underclass of African American and Hispanic students into the school-to-prison pipeline. This book is a scholarly study, presented here as a readable story, and practical guide for walking teachers, administrators, and teacher education programs through the process of transforming traditional ways of thinking about classroom discipline and teaching in order to create student-centered, creative, non-punitive classrooms that authentically engage the most alienated and oppressed students in our schools and society. 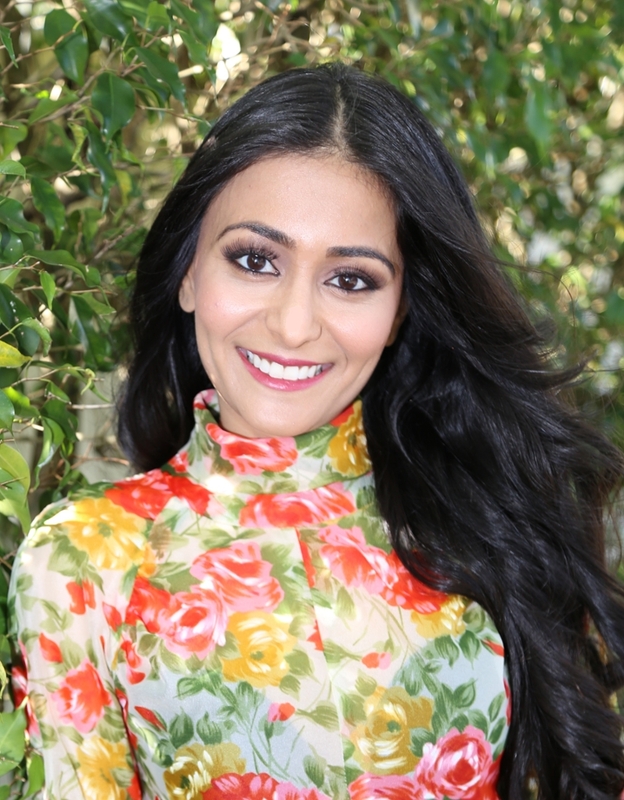 Avni Parekh holds a bachelor’s degree in international relations from FIU and is the author of Be The Bigger Person: Scenarios & Solutions to Better Yourself—an easy-to-read guide for successfully managing and overcoming negative experiences dealt within family-life, friendships, relationships, home maintenance, work-life, academic-life, driving, journeys on airplanes, tragedies and even public places. Every experience we have, negative or positive, can leave a lasting effect on our psyche. 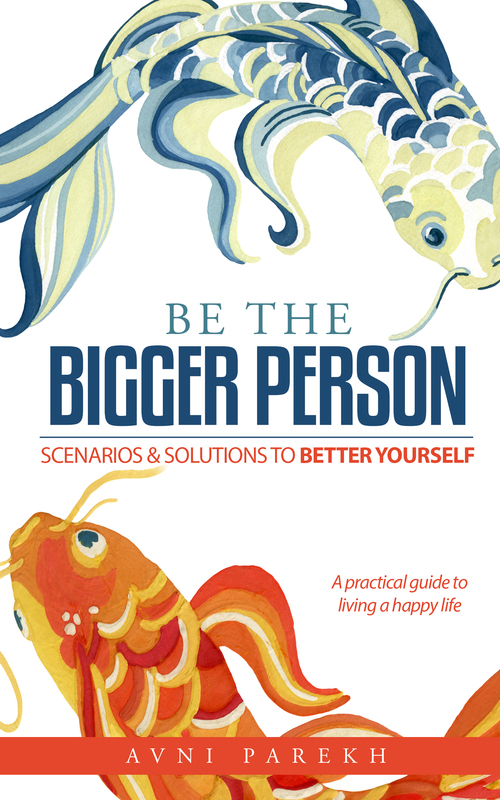 This first-of-its-kind book addresses a plethora of everyday experiences, then offers clear and practical advice that can help change a person’s outlook toward their day or their life as a whole. 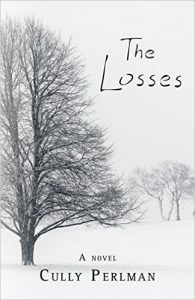 Cully Perlman received his BA in English Literature in 1996 and his first novel, The Losses, is an intergenerational drama that examines the ways family relationships shift when trust is broken. The Libscomb family is excited to have their annual gathering in the small town of Helen, Georgia when a confession sends things spiraling. This is a collection of stories about the life of Henry Rick, who served in Patton’s 3rd Army during World War II and whose tank was the third into Buchenwald Concentration Camp. He was honored as a Concentration Camp Liberator 40 years later. Some of Dad’s Stories is also about fathers and sons and the sometimes harsh lessons fathers must teach. Though Henry Rick went on to be a Chemistry Professor, the war defined his generation. Some of Dad’s Storiesis dedicated to all veterans. 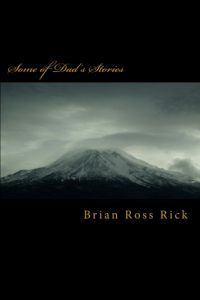 Brian Rick graduated from FIU with a BA in History in 1982 and is the proud author of Some of Dad’s Stories. 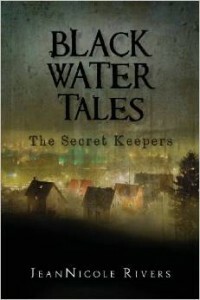 JeanNicole Rivers, who received a Bachelor’s in Philosophy from FIU in 2004, is the author of Black Water Tales: The Secret Keepers. The novel follows Regina Dean, who receives a harrowing midnight phone call in which she learns that the corpse of her best friend, Lola Rusher, has been found. Now, she must return to her, godforsaken, hometown of Black Water for the funeral of the beloved girl who disappeared when they were both just sixteen years old. Determined to lay Lola to rest, Regina launches her own investigation and is thrown into a race to solve the mystery before she loses her mind or meets Lola’s same fate. Everyone knows something, but no one knows everything. Nery Roman, who received a Bachelor’s in Hospitality Management from FIU in 2001, is the proud author of The Boy Lost in the Classroom. The novel, intended to provide support for the Autism/Asperger community, is an enthralling and emotional read lending a closer look at Autism/Asperger diagnosed individuals being taught within a mainstream, “inclusion” classroom setting. Her newest title, The Inability to See the Other Side of Reality, explores how families with small children can identify a psychopath. 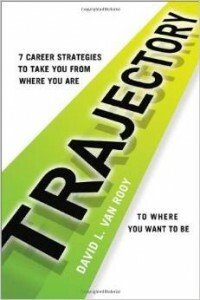 David Van Rooy, who received his MS and Ph.D. in Psychology from FIU in 2003 and 2005 respectively, is the proud author of Trajectory, a book outlining seven career strategies to take you from where you are to where you want to be. Rooy acknowledges that success does not happen overnight and emphasizes that while a desire to succeed is important, you need to make sure you slow down to appreciate everything around you. He presents refreshing tactics to help in achieving both current and future goals, always reminding his readers to never limit their opportunities with fear of failure. Trajectory serves as a handy guide that will invigorate you and provide the tools for a lifetime of advancement. Joseph Semprevivo, who received a Master’s in International Real Estate from FIU in 2013, is the celebrated co-author of Madness, Miracles, Millions with his father, Larry Semprevivo. 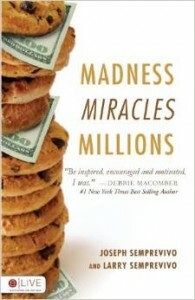 Madness, Miracles, Millions has won the 2015 Bronze Medal from the Illumination Awards. This is the inspirational story of their family as they triumph over tragedy, illness and economic hardship through positivity, hard work and finding solutions as a family. How one natural sugar free cookie turned into the largest Natural sugar free cookie factory in the world, Joseph’s Lite-Cookies. They are currently in Whole Foods, Dollar Tree, Big Lots, King’s, HyVee and other chains throughout the USA, Canada and overseas. Karianne Silva, who received a Bachelor’s in English from FIU in 2007, is the proud author of Watcher. 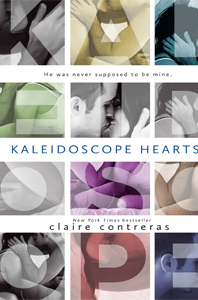 The novel tells the story of Coda Irin, a typical sixteen-year-old sophomore at Stanton Valley High School. However, due to her mother’s unexplained disappearance, she always feels different from the students surrounding her. With the arrival of the mysterious Jeremiah, Coda’s world is rocked by the knowledge of how unusual her family really is. Grettel J. Singer studied philosophy and literature at FIU. At age 12, she left Cuba with her family, spending two years in Venezuela before settling in Miami. 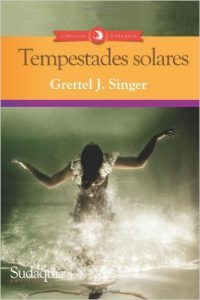 Her first novel, Tempestades solares (Spanish language), Grettel tells the story of Amalia and her family’s escape from Havana, Cuba. From the moment it starts, her journey takes her across different lands and times, trying to find where she fits. Elizabeth Tudor graduated from FIU in 2013 with a BS in Criminal Justice and is now the proud author of 18 science fiction novels in Russian including Collision, Shadow of the Centuries and Seven Envoys. 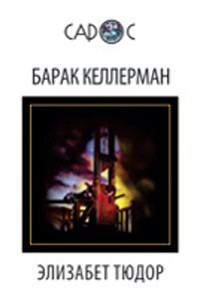 Saros.Barack Kellerman, the third chapter of the Saros series of historical fiction following Saros.Kevin Connor and Saros.Aaron Shmuel, takes us to the French Revolution – the times of persecution and executions, starvation and deprivation. Barack Kellerman is a typographer-revolutionary; his anonymous leaflet encourages people to revolt against the monarchy and overthrow centuries of oppression. Elusive provocateur caught in a mesh of time, his soul shall leap into the future, but even there he did not renounce own principles. 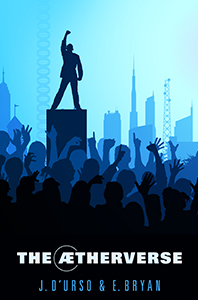 The revolution of the times, human passions and desires – Barack tries to change also the future. Arrest, trial, imprisonment, tortures – all this awaits him far in the twentieth century. Only repeated solar eclipse helps him avoid certain death. 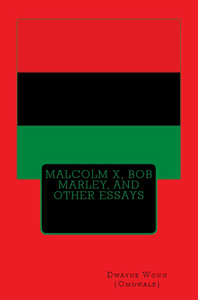 Malcolm X, Bob Marley, and Other Essays is a collection of essays on various topics in African and African Diaspora history. These topics include Malcolm X and the Nation of Islam, Bob Marley and the Rastafari movement in the Caribbean, Kwame Nkrumah, and the Black Power uprising in Trinidad. Author, Dwayne Wong, graduated from FIU with his BA in Liberal Studies in 2014. Please note that listings are subject to the discretion of the FIU Alumni Association. The inclusion of books on our Alumni Authors Series does not constitute an endorsement of the contents or values expressed in these titles. The FIU Alumni Association does not review these books; all book descriptions are provided by the authors or publishers.